The new “remember” command lets you make verbal notes about specific things that you’re likely to forget. It works best for something that isn’t likely to change very often, like where you keep your social security card or your apartment’s gate code. You also probably shouldn’t use it for private info like credit card numbers, since anyone in the house (including guests) can access it. You don’t need to tweak any settings or enable a third-party service to use this feature. As long as your Google Home is connected to the internet—and it would be pretty useless otherwise—it should be updated and ready to go. First, you’ll need to give it something to remember. 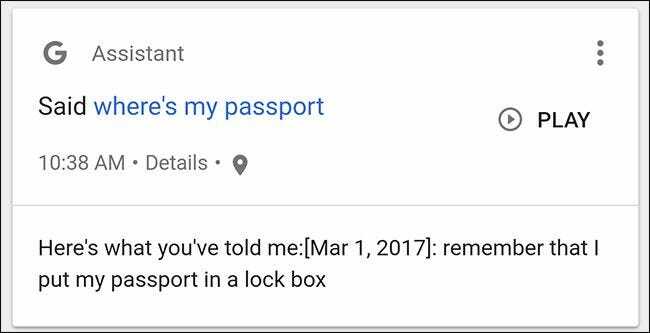 Start by saying “Ok Google, remember that I put my passport in a lock box”, for example. This can sometimes result in a conflict if you use the same keywords in multiple places. 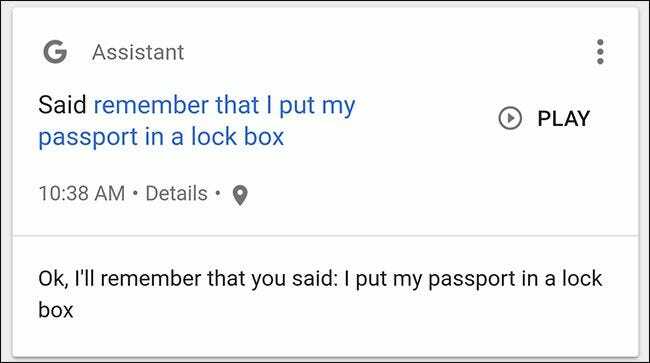 For example, I added “Remember that my lockbox is in my closet.” I then asked “where is my lockbox?” and Google told me that my passport is in my lockbox. Usually this doesn’t cause a problem, but it’s probably best if you make each memory as unique as possible. In this case, you need to be pretty specific. 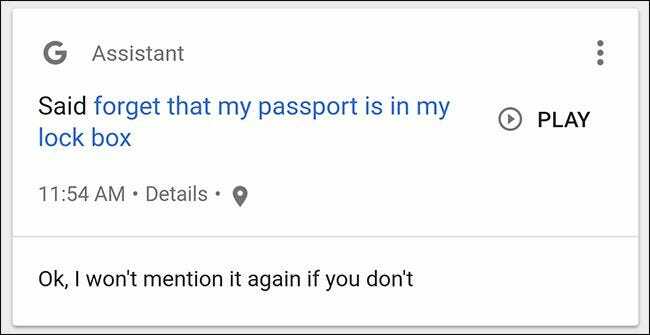 If you say, “Ok Google, forget where my passport is,” Google won’t know how to help with that.